more extensive habitat area. In addition, a larger habitat volume will contain more individuals, which is likely to result in the inclusion of more species. Finally, many species that occur in larger rivers appear unable to live in small streams. 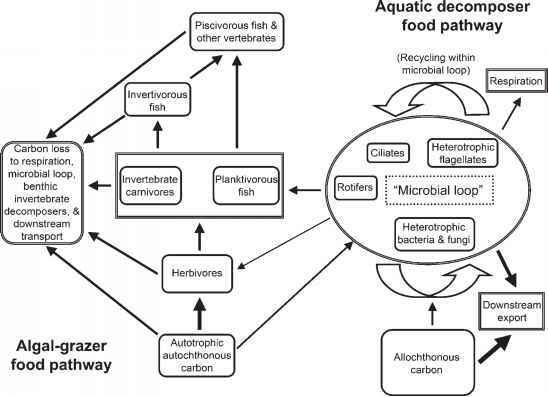 This is indicated by studies of species distributions, which typically show more addition than replacement as one proceeds downstream along a river's length (Illies and Botosaneanu 1963, Horwitz 1978), and by a positive relationship between fish size and river size (Hynes 1970).